Jul - 08 | By: Oregon Film | no comments. 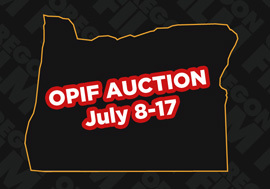 The 2015 OPIF Tax Credit Auction began Wednesday July 8 and continues through July 17. The Oregon Department of Revenue is auctioning $10 million in OPIF tax credits. 20,000 increments of $500 tax credit certificates are available. Businesses and individuals with an Oregon income tax liability may bid on the certificates. The credit can be claimed on your 2015 state income tax return. Any amount that cannot be used on your 2015 tax return can be carried forward for up to three years. The minimum bid is $475 per increment. • No bids will be accepted before or after the designated times. • Bidders must submit payment along with Form TCA by Friday, July 24, 2015 at 5 pm. • There will be $10 million in tax credit certificates available for the auction. • The credit certificates will be in $500 increments and the minimum bid will be $475. If you have any questions about the OPIF tax credits or the auction process, please feel free to contact Tim Williams via email ([email protected]) or phone (971) 254-4020.